Nadal made his way back to the top of the charts after winning three titles in the clay swing of the year, namely Monte Carlo Masters, the Barcelona Open and the Italian Open. 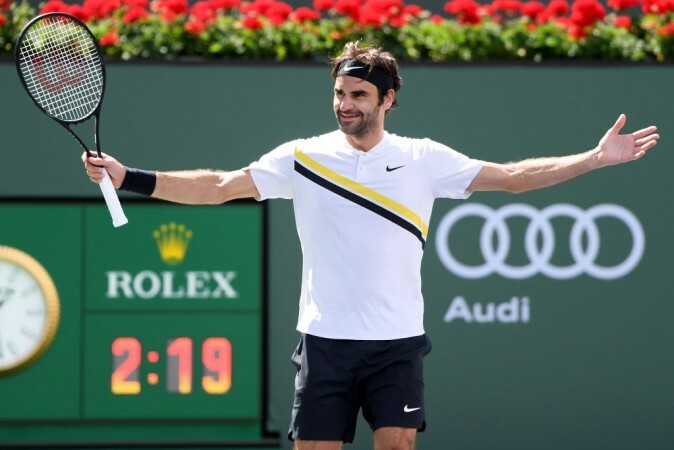 Roger Federer has revealed that he is no longer concerned about taking the number one spot from Rafael Nadal as staying fit and healthy remains his primary concern before returning to the court. Nadal made his way back to the top of the charts after winning three titles in the clay swing of the year, namely Monte Carlo Masters, the Barcelona Open and the Italian Open. Federer, meanwhile, had made the decision to skip the entire clay court season for the second consecutive year in 2018. This means that inevitably, he will miss the French Open, the second Grand Slam of the year and a tournament he has won only once. The Swiss ace is however not done in Paris and plans to take part in the Roland Garros at least once before he retires. The Spaniard is the world number one at the moment and has to win the French Open to stay at the top of the ATP men's singles ranking. Federer had for the second time this year briefly taken over at the top after his win in the Rotterdam Open before he was overtaken by Nadal. Federer can again take over at the top if he makes it to the final of the Mercedes Cup — his first tournament once he returns from a two-month break. However, the Swiss ace revealed he was not concerned about the ranking at the moment as staying fit and healthy was his main priority. "The rankings don't affect my game. I worked hard to get back to number one, but at this point of my career, chasing that is not the goal. Staying healthy, making sure I am prepared for the big events, and playing places where I enjoy are the real goals," Federer told Vogue during an event in Paris recently. "Playing against Rafa for so many years has been amazing—he pushed me to innovate, work harder, and to develop my game. I don't think I would be the player I am today without him as my chief rival." Federer added that given his hectic career, he never had time to spend with his family, who will take priority at this point. The 36-year-old, who is going to start playing after a break, was not willing to sacrifice that in order to play more tournaments. "In consultation with my team, it became clear that if I wanted to try hard to stay on tour for a few more years, I could not play the same busy schedule that I did years back. I needed to balance everything in my life and make sure I had enough time for training, rest, and recovery—and philanthropy," the Swiss ace added.